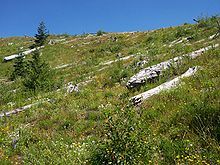 ^ What lies below: swarm of earthquakes detected beneath Mount St Helens. The Guardian. 2016-05-07. 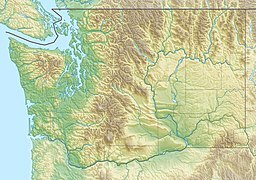 ^ 2.0 2.1 圣海伦国家火山纪念地 （Mount St. Helens National Volcanic Monument）. 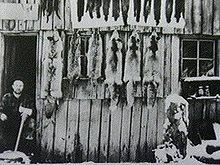 USDA Forest Service. ^ 3.0 3.1 圣海伦火山1980年5月18日爆发. USDA Forest Service. ^ USGS. Volcanoes and History: Cascade Range Volcano Names. [2006-10-20]. ^ Scott LaFee. "Perish the thought: A life in science sometimes becomes a death, too." 互联网档案馆的存檔，存档日期2008-11-06. SignOnSanDiego.com: December 3, 2003. Retrieved October 26, 2006. 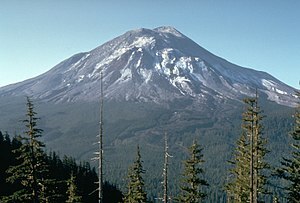 ^ Summary of Events Leading Up to the May 18, 1980 Eruption of Mount St. Helens: March 22 - 28.. USDA Forest Service. [2006-10-28]. ^ Summary of Events Leading Up to the May 18, 1980 Eruption of 圣海伦火山：4月26日至5月2日. USDA Forest Service. [2006-10-28]. ^ Northwest NewsChannel8. New slab growing in Mount St. Helens dome. [2006-10-20]. （原始内容存档于2009-02-18）. ^ See close-up of the slab.